Do you have questions about Creative Studio, or the tools we have available to us? 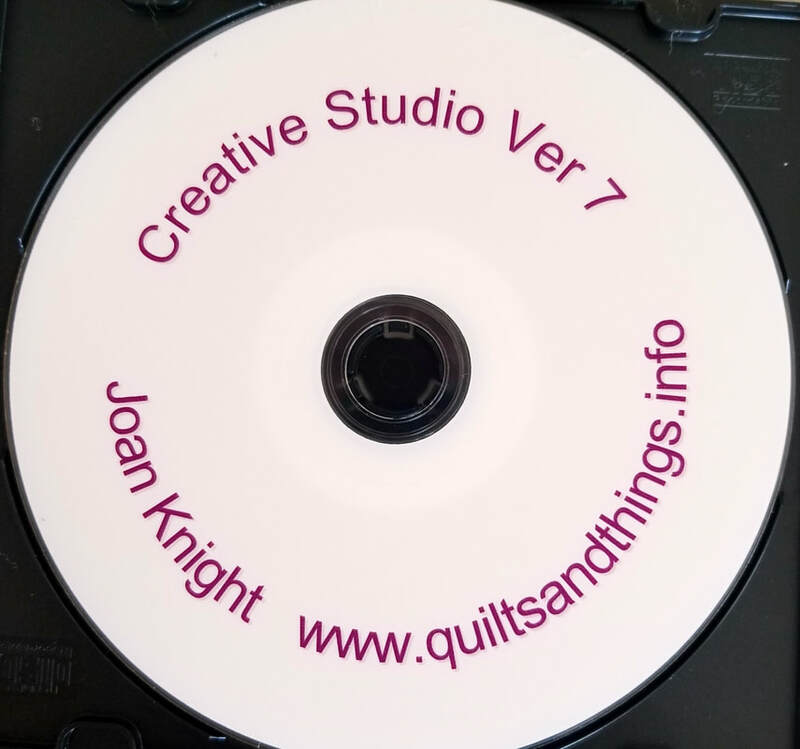 Joan Knight offers a variety of videos, covering the basics of our software program and techniques for everyday quilting. 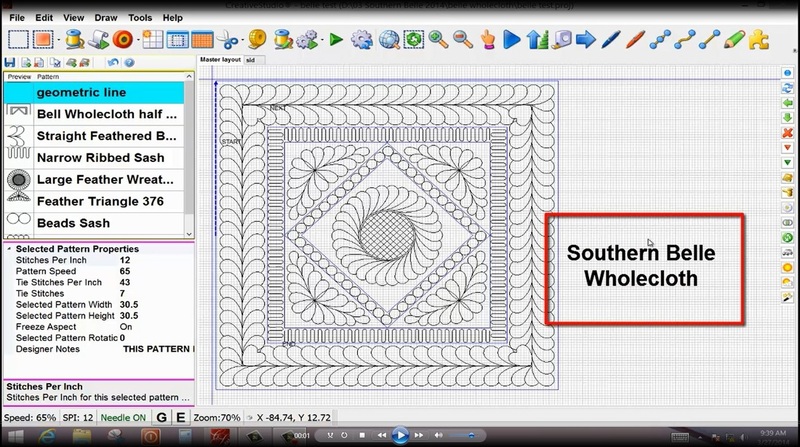 Others cover specific tools and functions that can help you achieve high custom quilting. Below you will find descriptions of each one of the videos and a link at the bottom of the page to take you to Joan's website to order. Borders were rewritten in CS Version 6. 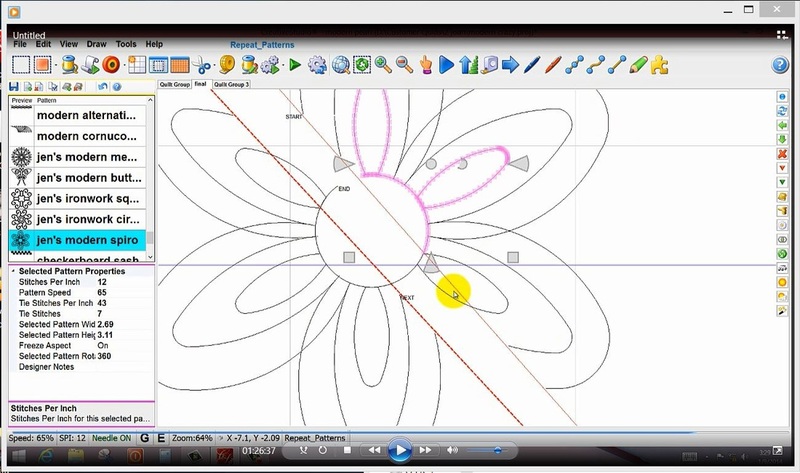 This two hour video will help you understand our new Borders and Corners function. 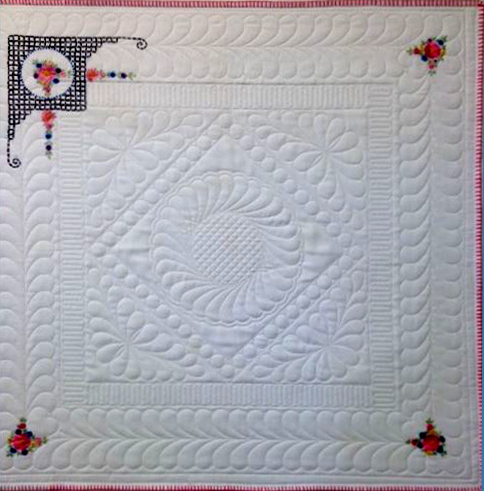 This video covers the basics, bottom borders, chunking, turning the quilt for side borders and even stand alone mode borders. Of course there is a trick or two along the way. Point to Point in Creative Studio is powerful. 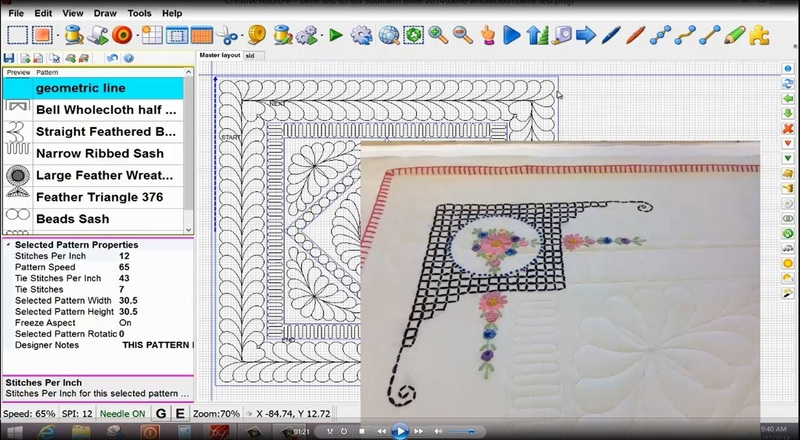 This two hour video covers the rules of P2P and how to use it in borders, sashings, blocks, specialty quilts, and the new Apply and Concatenation features. 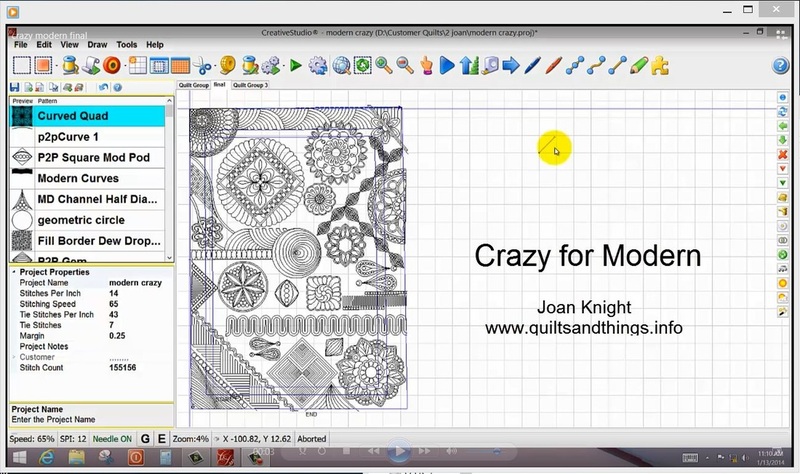 This video shows the thoughts and quilting process behind the Crazy for Modern Quilt. 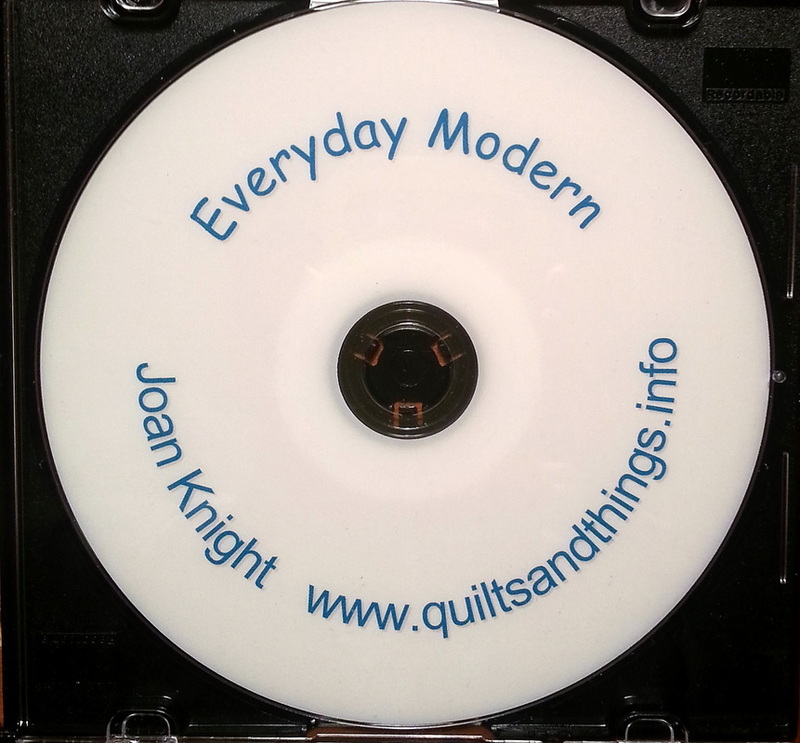 The quilt takes dozens of modern patterns meant for both e2e and custom quilting and turns them into a modern wholecloth quilt while staying in the same quilt group to be able to judge density and layout better. It also includes numerous pictures of techniques, including applique with the Statler. Don't be confused about CS Version 6. This almost two hour video explains both hardware requirements and software techniques for this new version. And of course, there is always a tip or two included for lagniappe. 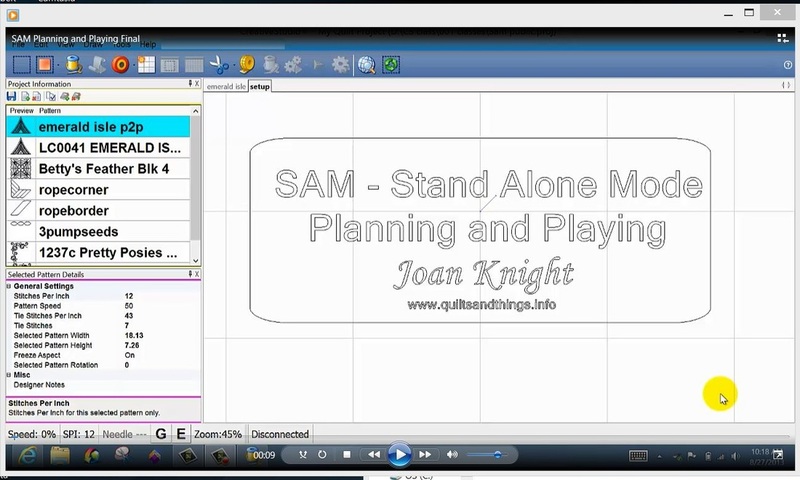 This two hour video in the latest version of Creative Studio will show you how valuable Stand Alone Mode is for your quilting business. 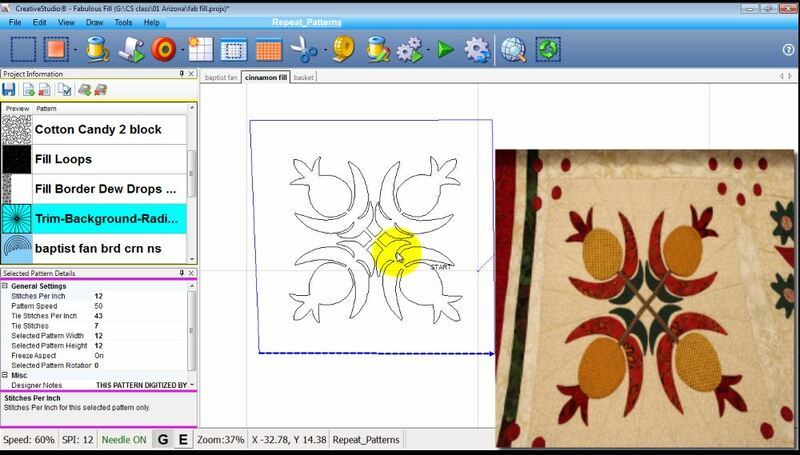 SAM can be used to plan your customer quilt which will save you time at the Stitcher. 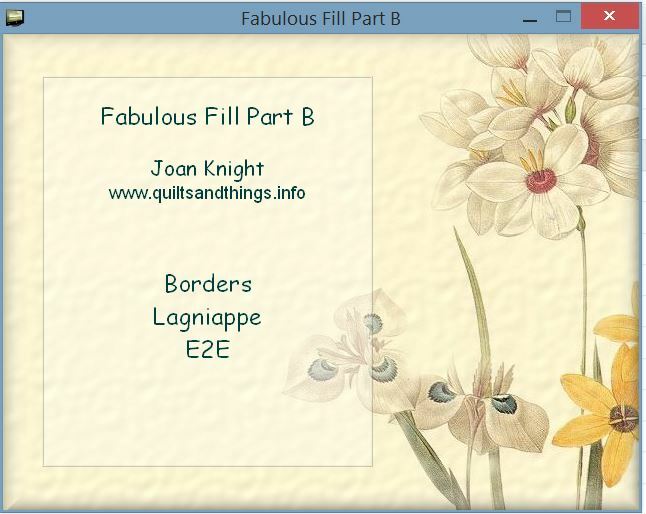 Also included is how to email a quilt mockup to your customer and how to load a new version of CS on your laptop. SAM can also be used to mess with patterns and create new ones. 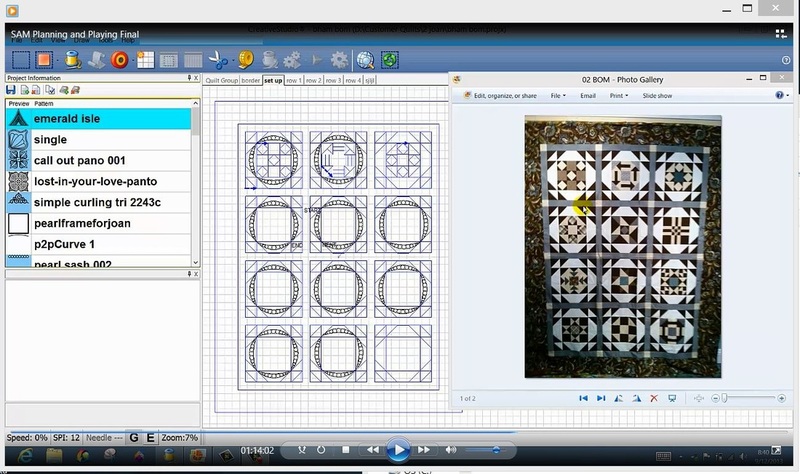 Finally a basic E2E video that explains E2E mode, repeat patterns, controller defs, hierarchy, place 2 pins, end of set, alternating, concatenating, altering a pattern, setting up a scene on a quilt, and modern patterns using fill. Whew! 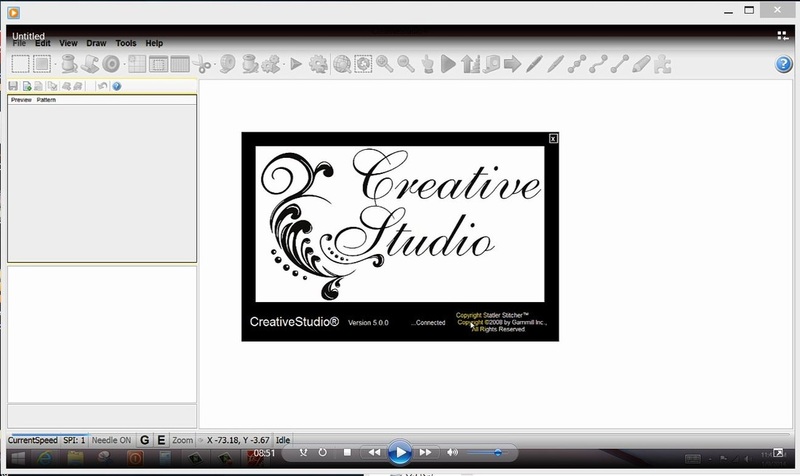 Almost 3 hours of instruction on a 2 cd set using Version 4.2 Creative Studio. E2E has changed so much and this video takes you through those changes. This unique video is a complete walk through our Southern Belle Wholecloth class to show you the quilting process step by step. It can be used as a guide for your own Wholecloth using your own patterns. 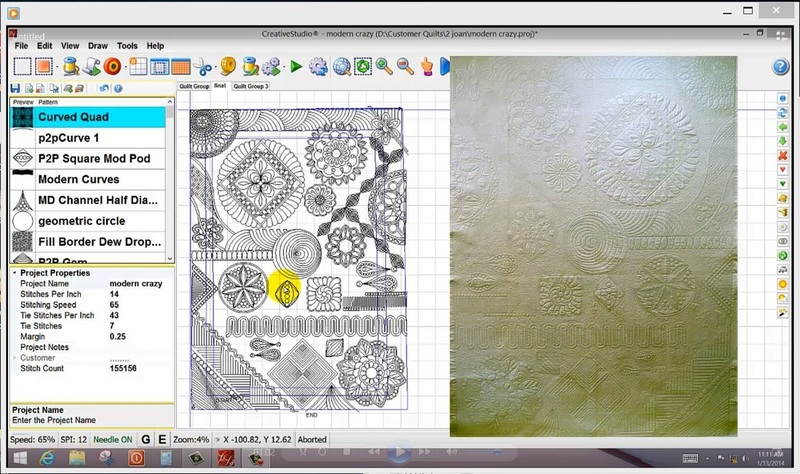 This 3 hour video discusses one of Creative Studio's most powerful features and how to use it in blocks, borders, and an e2e quilt. 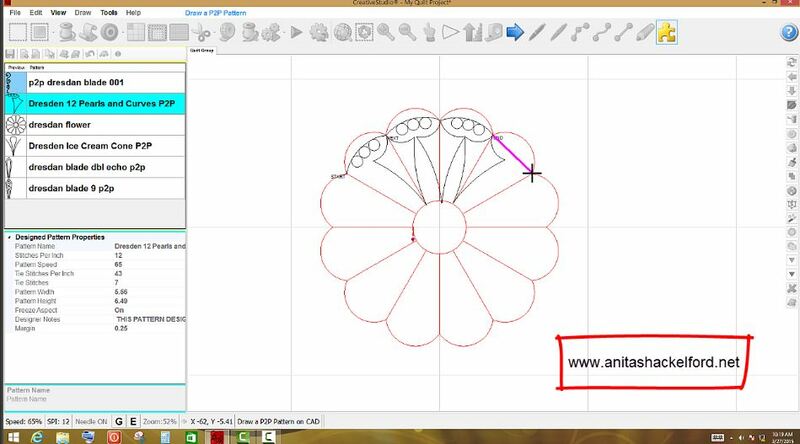 It explains the difference between the Trim and Fill features and how Fill is affected by boundaries and applique. This two DVD set covers blocks, borders, and E2E. 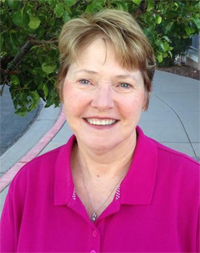 E2E quilts are the basis of our quilting business. 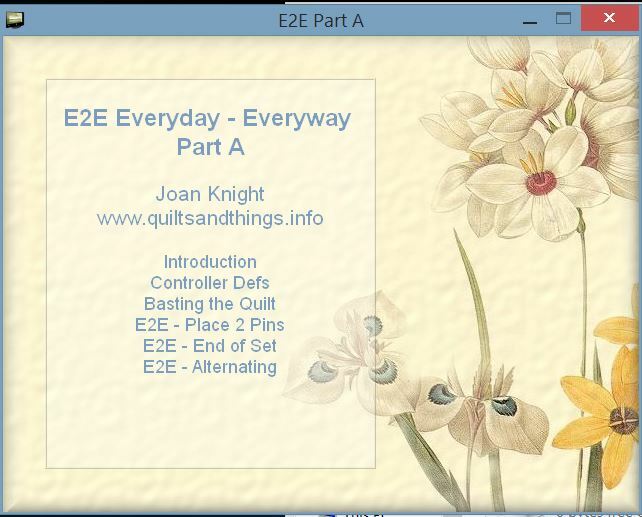 Let's get them done fast, with high quality quilting using modern e2e patterns. 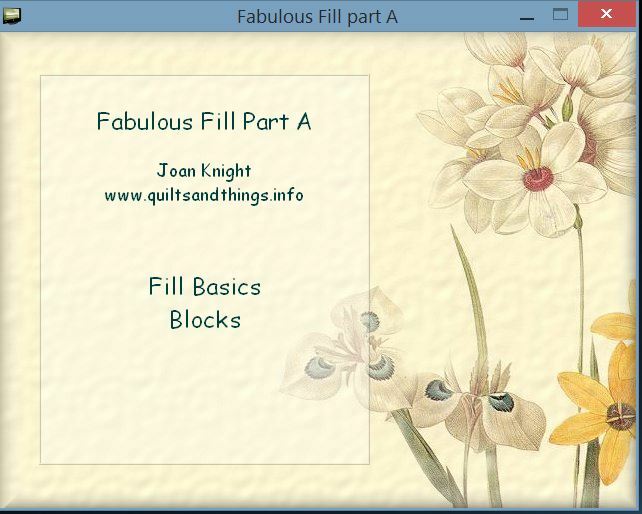 This video is full of pattern options, basic setups, pattern variations and how to quilt the quilt instructions. 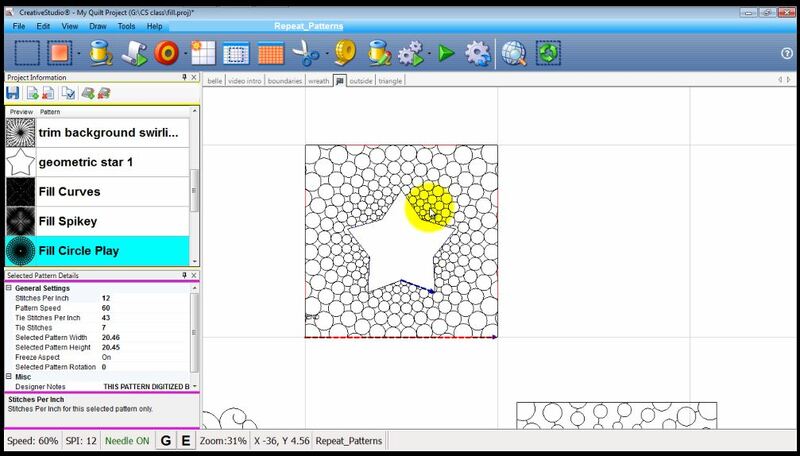 ​The long-awaited how-to on Statler's latest software. Everything you need to know to get started with CS7.